Recently the Social Security Administration(SSA) announced it is rescinding four Social Security Rulings This will be the second of four articles explaining how these will negatively affect claimants who are applying for Social Security benefits. In our last blog post we discussed the rescinding of SSR and what it means to claimant benefits. In this post we will discuss SSR 96-5p. Whether an individual is “disabled” under the Act. There are two parts to the first rule. The first part is whether a claimant “meets” a listed impairment. This means when one compares all of the elements listed in the listings of impairments the person has each element of the listed impairment. The adult listings can be found here. The second part of the first rule is whether a person equals the listed impairment. A simplified example of this would be if one assumes there are 4 elements of a listing. 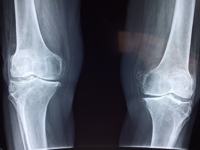 Assume you have an individual who is obese with a badly deformed knee as evidenced by an MRI. The person is in chronic pain but they don’t have any evidence of stiffness or limitation in motion(the reason could be the doctor just never wrote it down). As I said earlier medical imagining showed the individual had a deformity by joint space narrowing and it was written in the records the claimant cannot walk 50 feet. A judge can use the obesity to substitute for the stiffness or limitation in motion and find the claimant equals the listing. Our upcoming posts will discuss SSR 96-6p and SSR 06-03p. Are you finding yourself confused and overwhelmed by the process of applying for SSD benefits? Consider the Good Law Group for your representation. Call #866-352-5238 for a complimentary case evaluation or complete this online form.